Patience/Sabr is a much needed quality that we may or may not have much of but one that we absolutely cannot do without. It should form the foundation of our character as it is half of eemaan. The other half is gratitude. Allah has mentioned patience and gratitude in conjunction with each other. “Verily in this are signs for all who constantly persevere and give thanks” both qualities make up our emaan. Patience is exercised in following commands; the other half is expressing gratefulness in being able to follow his commands and being bestowed with our abilities/ intellect to understand. Patience/sabr comes from the root meaning of to detain, or refrain or stop oneself. It means to stop us from despairing and panicking when an unpleasant situation arises. Scholars have said patience means to keep close to Allah and to calmly accept trials, without complaining or feeling sad. 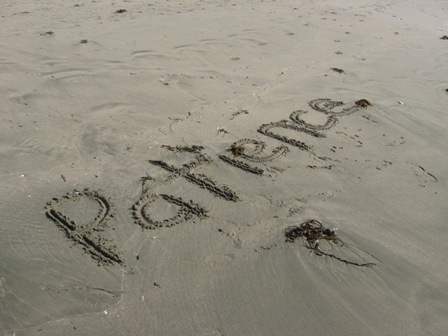 Patience acts as a force in the sense that it either pushes you to do something or pulls you back from something. In pushing you to do something patience is needed when doing acts of ibadah like : salah, reading, fasting, etc. When pulling you away from something patience is needed to stop oneself doing bad or looking at haraam, or guarding the tongue. People exercise patience in many different ways where some are better at doing plenty of ibadah but cannot stop themselves from looking at haraam or do not care if they hurt someone with their tongue and actions. Other people may not have the patience to do a lot of extra acts of worship, yet they can give plenty in sadaqah, or they are always careful of their tongue and actions. • Strong patience: Awareness/fear of Allah is greatest and so it supersedes any situation and helps you to control your actions and words. This is a high level of patience which cannot be achieved very easily by everyone, except for the Prophets and the truly righteous. • Weak patience: Patience isn’t exercised in any situation and whims/desires completely take over. They will constantly make excuses for their behaviour, is a weak believer and may even abandon all acts of worship. • Fluctuating patience: This is the case for most Muslims, where sometimes we can display immense patience and can control ourselves, whilst other times we don't exercise as much as we should. We mix our good deeds with our bad deeds in accordance with our eemaan/taqwa at the time. • You feel helpless, distraught and all one does is panic and complain to people and feel resentful towards Allah. This is the worst type of patience, because it keeps you away from Allah, makes you ungrateful for his blessings and unwilling to accept his decree. • You accept your situation. You feel the hardship of it but you don’t complain and hope the best from Allah that things will correct itself eventually. • You accept Allah’s will and you are content with it, despite it being hard on you. You put complete faith and trust in Allah. • Accepting your hardship and being grateful for it. This is a very high level of patience as you actually thank Allah for your situation. You perceive it as a blessing, it is better for you to be in this difficult situation as it is beneficial for your status hereafter. You patiently await an outcome and are one of those whom Allah refers to in Surah Tur v.48 “Now await in patience the command of your Lord for verily you are in our eyes”. This immense patience comes with the help of Allah. • Knowledge: Learning what pleases Allah and following his commandments. Knowledge will beautify ones actions and manners. • Action: Knowledge of right and wrong should be followed up by action. Take measures to prevent yourself from being in an undesirable or haraam situation, avoid those whom you cannot control tongue around. • Remember the greatness of Allah: Our Lord is too majestic to sin against; our awe of him should deter us. • Remember the blessings and favours from Allah: Show gratefulness for the favours bestowed because we would normally think twice to betray someone who has done us a favour, so the same should be applied when remembering everything Allah gave, it can all be destroyed. • Remember Allah’s wrath and punishment: We should bear in mind the consequences of bad actions and remember that punishment could be severe in the hereafter. Jazakillah khayran...luking forward to more such uplifting articles. Jazakallah Khair for the reminder :) Being patient is a daily struggle and unless we are constantly reminded of the great rewards for it, we keep slipping into ingratitude. May Allah (swt) make us of the sabiroon.